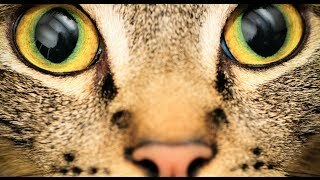 "Animals see things we can't even imagine"
Biology | Zoology How Animals See the World See through the eyes of cats, birds, fish, and snakes. For centuries, humans were in the dark about what and how other animals see. Recent scientific investigation has revealed an amazing world of vision diversity. "Animals see things we can't even imagine" ... Don’t want to miss our Top Stories? The cutest pix? The most AWWWWW inspiring videos?